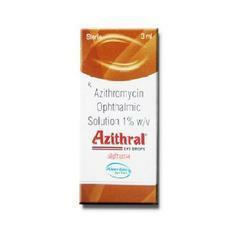 Leading Exporter of azithromycin and pazflo from Nagpur. Azithromycin is an azalide, a subclass of macrolide antibacterial. It is derived from erythromycin, it differs chemically from erythromycin is incorporated into the lactone ring, making the lactone ring 15-membered. Pazflo contains Pazufloxacin. 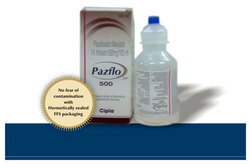 Pazufloxacin Is Indicated For The Treatment Of The Respiratory Tract Infections Including Lung Abscess And Pneumonia, Endometritis, Prostatitis, Cystitis, Pyelonephritis, Liver Abscess, Intra-abdominal Infections, Peritonitis, Cholecystitis And Other Secondary Infections Due To Injuries, Post-surgical Wounds And Burns.